SuperRatings says investments for the ‘median Balanced fund’ rose by 2.2% in July, compared to a 2.0% fall in June. Returns are expected to “continue to be extremely volatile,” with losses in August potentially reversing gains in July. 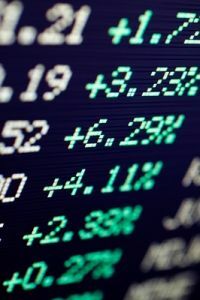 “The markets took a welcome upturn in July, with rising local and international shares adding strong returns for most super funds,” said SuperRatings founder Jeff Bresnahan. “However, the relief has been short lived. So far in August we estimate the median Balanced Fund to be down 2.4 per cent, cancelling out the healthy July result,” he said. SuperRatings pointed to falls in Australian shares and listed property, combined with lower returns from international shares as the Australian dollar rose. “Just what the remainder of the month has in store will soon unfold, however, the diversification of most super options is keeping most people insulated against heavier losses in several key asset classes,” said Mr Bresnahan. “Despite the short term volatility the performance of most super funds remains above their long term goals,” said SuperRatings. The median Balanced fund returned an average of 6.7% a year over the past ten years, above the commonly used 3.5% over CPI benchmark. “This is set to improve even further as the heavy toll from the global financial crisis is gradually worked through,” with balanced funds returning an “impressive” 9.6% per year over the last five years.